Actor, martial artist. Born Li Lian Jie on April 26, 1963, in Hebei, China. The youngest of five children, he lost his father when he was only 2 years old. At the age of 8 Li began learning wushu, a form of martial arts. Noting his talent, his family sent him to continue his studies at a special school. “I was from a very poor family and we didn’t have enough money for a good school, so sports-school was good; it gave me good food and an opportunity out of China,” Li later explained to Muscle & Fitness magazine. At the age of 11, Li won his first national championship. As a result, he traveled to more than 45 countries as part of the Bejing Wushu Team. In 1974, Li traveled to the United States and gave a martial arts demonstration for President Richard M. Nixon. He became the All-Around National Wushu Champion that year, a title he held for five consecutive years. Li retired from the sport when he was 17. Working with director Chang Hsin Yen, he made his film debut in Shaolin Temple (1982). The film helped make Li a star in his native country, and spawned several sequels. By the end of the 1980s, Li had relocated to Hong Kong, where he became involved in the martial arts film scene. 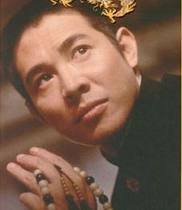 In Once Upon a Time in China (1991) he played Wong Fei-hung, a legendary hero who fights against foreigners in this 19th century tale. The popular film had two sequels. In 1994, Li landed his first English-language role, playing a bad guy in Lethal Weapon 4 with Mel Gibson and Danny Glover. He relocated to Los Angeles for the film, where he underwent intensive language training to prepare for his role as a Chinese crime boss. This action film, especially the scenes with Li, delighted movie audiences. That same year, Li starred in the convoluted science fiction tale, The One. He played the two main characters, an unsuspecting California sheriff and a ruthless killer who travels through parallel worlds to eliminate the other versions of himself. The film was panned by critics for its confusing plot and weak acting. Next, he worked with director Yimou Zhang on the Chinese historical drama Hero, in which Li played a warrior in 3rd century China. The movie was released in China in 2002, and earned an Academy Award nomination for Best Foreign Film. He then reunited with DMX for 2003′s crime thriller Cradle 2 the Grave, which received poor reviews and a lukewarm response from movie-goers.